A while back, I wrote about some methods for enlarging holes — for instance, if you wanted to fit larger tuners or a larger control pot into a hole that had housed something smaller. But what if you want to go the other way? What if you want to remove some hardware that’s bigger than the stuff being installed? 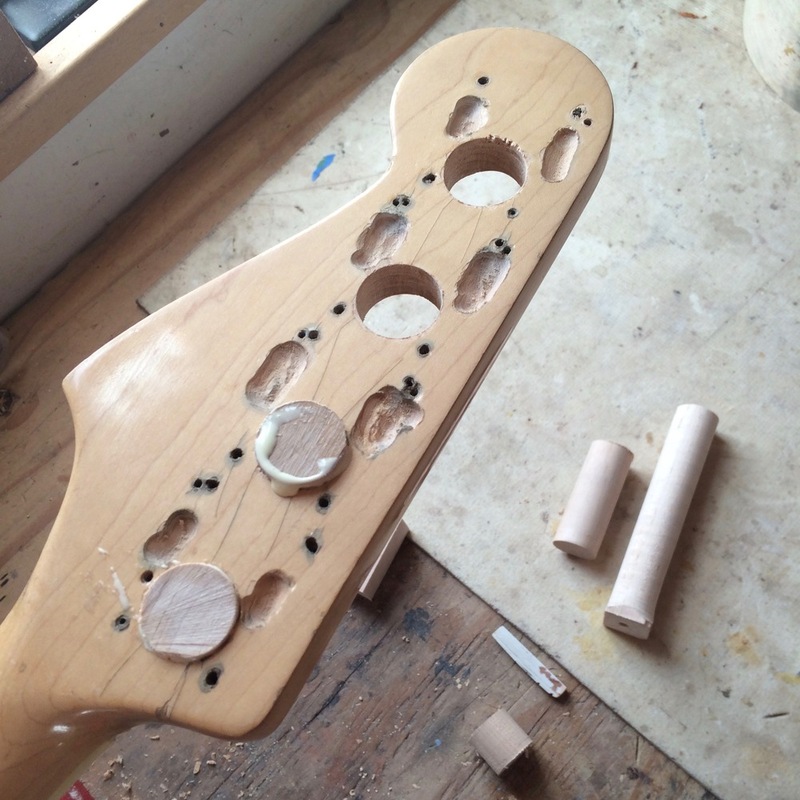 Tagged: repair, upgrade, tuners, pots, switches, guitar, bass, headstock, dowel, glue.